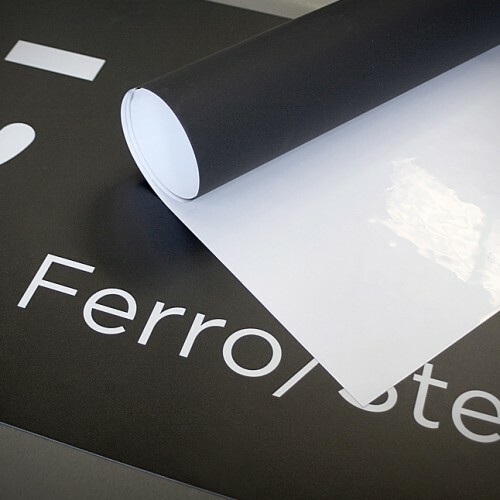 HD Ferro PET material (magnetic receptive material) is white PET one side and black ferrous coating the other side. Super light great for instore graphics - put up with Adhesive backed magnet to creat stunning displays. Suitable for solvent/eco-solvent/UV and Latex inks. £8.40 per metre for 50 metres (ex-vat, VAT is automatically added in by the shopping carte). Larger discounts for multi-roll purchases, contact us directly for best price.